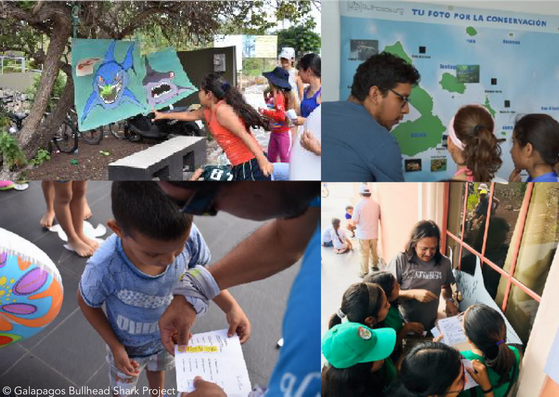 In July, the Galapagos Bullhead Shark Project (GBSP) team ran their annual Shark Day on San Cristobal island. 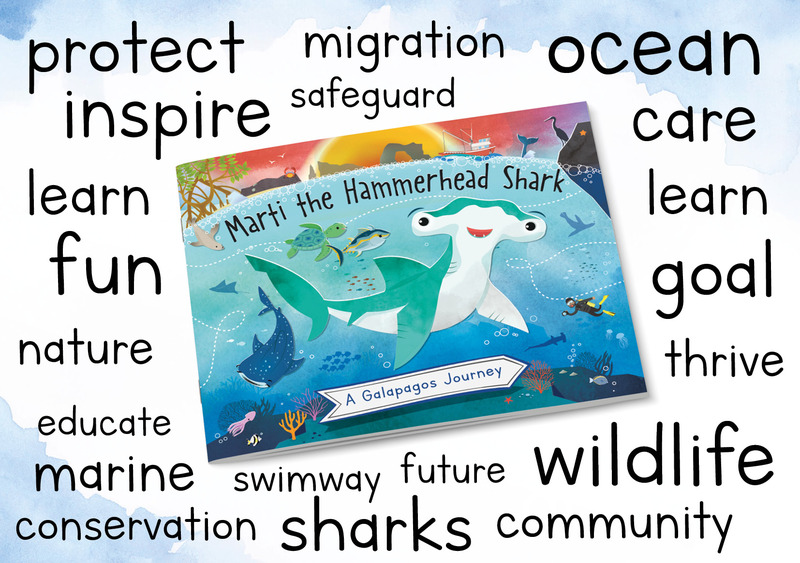 Like all projects that GCT supports, the GBSP delivers a strong educational component and Shark Day is a key part of this. Thanks to help from local community group and GCT partner, Grupo Eco-Cultural Organizado (GECO), as well as numerous volunteers, this year’s event was the most successful to date. Around 100 local children attended to learn about sharks and their importance in marine ecosystems. Building on the success of last year’s educational activities, they rolled out some new interactive games, including shark-themed Twister, a game of ‘feed the shark’, a shark tooth identification game, ‘pin the fin on the shark’ and field research-themed activities. In addition, GECO created an innovative game to educate participants about the dangers of plastics to sharks. After an afternoon of fun and engaging activities, the children were encouraged to share what they had learned. Some of the strongest take-home messages were about how sharks are endangered, the impacts of plastic and the importance of not littering. 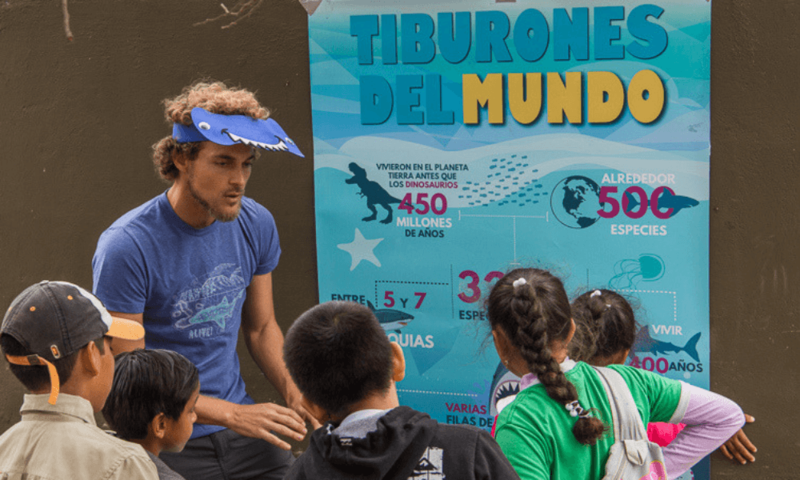 As the Galapagos Marine Reserve has one of the highest diversity of shark species in the world, educating and engaging young people about the importance of sharks is absolutely vital to ensuring their conservation for years to come. Educational activities such as this are also a key part of our Plastics Programme, which works closely with local community members to inform them about responsible plastic usage on the Islands. 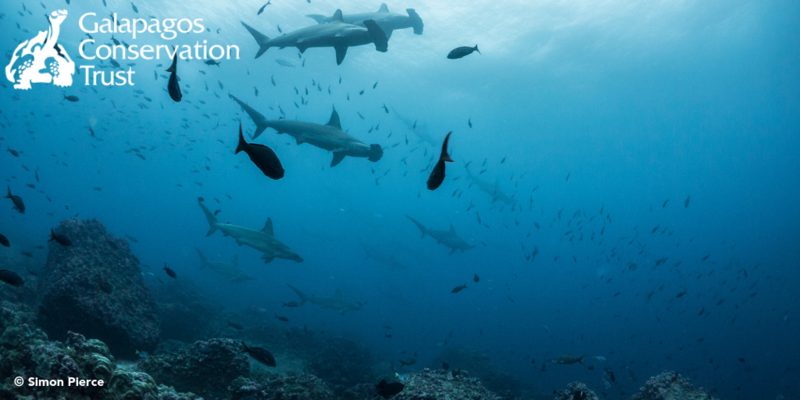 Special thanks to the National Marine Aquarium, who are a key supporter of the Galapagos Bullhead Shark Project. Become a GCT member today to help us fund further crucial education and outreach events like this. 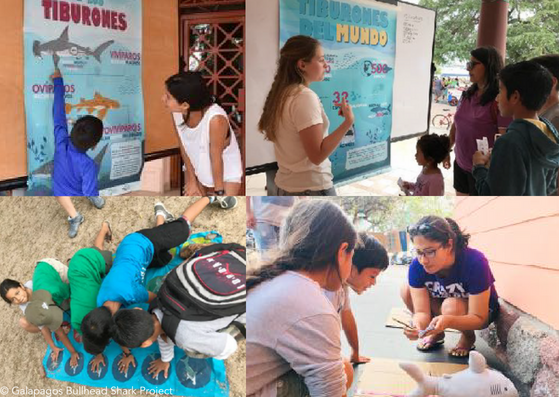 This entry was posted in Projects and tagged bullhead shark, Education, Endangered Sharks, Galapagos Bullhead Shark Project, Projects, shark day, Shark Day 2018, Sharks. Bookmark the permalink.